Police have arrested one suspect after a 16-year-old Silver Spring, Maryland teenager died after being shot multiple times in a Hyattsville, Maryland parking last month. HYATTSVILLE, Md. -- Police have arrested one suspect after a 16-year-old Silver Spring, Maryland teenager died after being shot multiple times in a Hyattsville, Maryland parking last month. 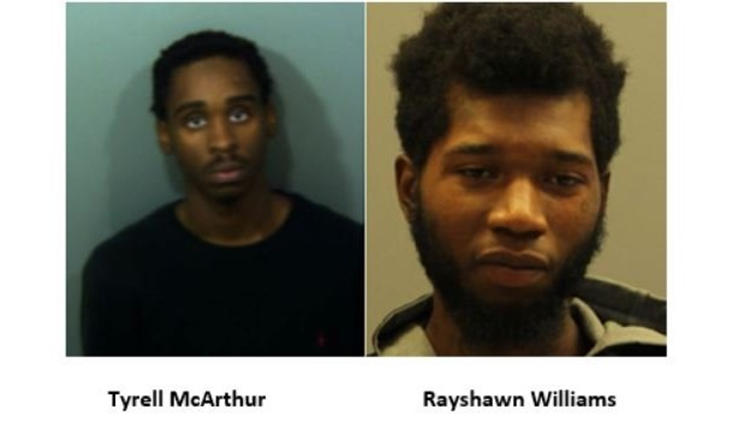 Police obtained arrest warrants and have been actively looking for 22-year-old Tyrell McArthur of the 2900 block of 23rd Parkway in Temple Hills and 22-year-old Rayshawn Williams. McArthur was arrested late Wednesday night, police said. Williams has not been arrested yet. The authorities are also actively working to identify and arrest a third suspect in the case. On August 6, patrol officers responded to the 6700 block of New Hampshire Avenue in Hyattsville for the report of a shooting. When they arrived on the scene, officers found the victim, Kevin Wilson Jr. in a parking lot suffering from multiple gunshot wounds. He was taken to the hospital where he died a few hours later. Investigators are working to establish a motive for the shooting.